The Hudson County Prosecutor Esther Suarez has announced a free Expungement workshop on Wednesday, April 26, from 6 to 8 p.m. at Mount Sinai Gospel Church, located at 27 Prescott Street in Jersey City. The workshop “How to Expunge your Criminal Record” will be presented by Assistant Prosecutor Leo Rinaldi whom will explain the process of expungement and necessary steps an individual must take in order to have their criminal record expunged. Nicole Pirelli, an attorney representing Northeast New Jersey Legal Services, will be present to offer free legal assistance in completing the application. This is a free event open to all residents. Light refreshments will be served. For more information contact Raymond Worrall at (201) 795-6400 ext.6737 or rworrall@hcpo.org. 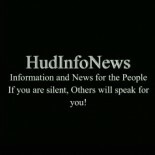 This entry was posted on April 25, 2017 by HudInfoNews in Community, Information, jersey city, Proactive Concerns, prosecutor, rights, solutions, Uncategorized and tagged background, clean, criminal, education, Esther, expunge, HCPOP, hudinfonews, Hudson County, information, jersey city, justice, Leo, news, Nicole, Parelli, people, press release, prosecutor, record, residents, Rinaldi, Sinai, Suarez, voice, workshop.